Clay pots are becoming popular not only for gardening, but for craft projects now. We have practical Clay Pot DIY Projects for Your Garden and Clay Pot Fountain Projects with Tutorials. Now you can make your own handy Clay Pot Smoker in lowest budget. This is the perfect size to carry around and you will love the results! If you love the taste of smoked meat melting in your mouth, but don’t have enough space to place that huge smoker with hundreds of bucks but use several times a year. you can build your own simply with this plan. DIY Clay Pot smoker can have a lot of advantages, this homemade smoker are much smaller than store-bought ones thus won’t take too much spaces, and you can create your own shapes and colors. This great project on how to DIY smoker out of a clay pot does not require too much materials but a clay pot, a clay pot tray, an electrical hot plate, cooking grate, some bricks, a metal pie pan, an oven thermometer, bolts and nuts and a wood dowel. Get the full step by step tutorial via Architecture n Design.net. 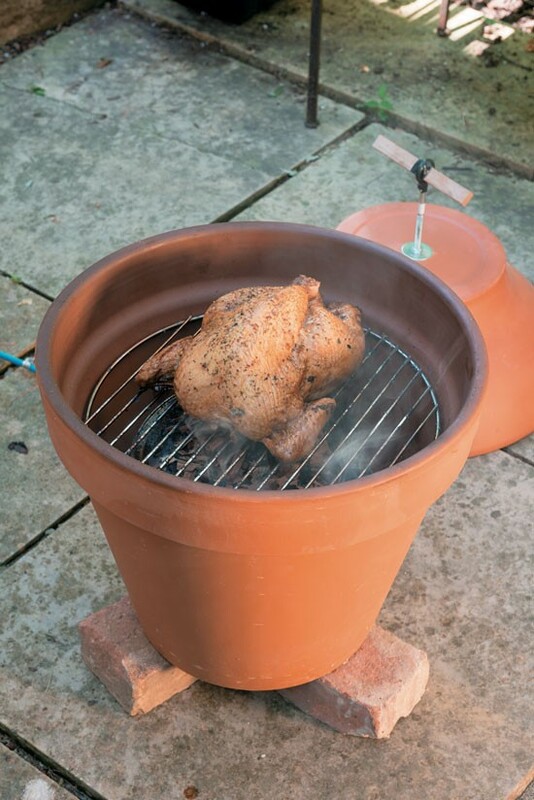 A few modifications are needed to make a smoker from clay pots. The heat for the smoker comes from the hot plate. This will mean you need a way to get the cord outside the pot. You can easily make a hole by using a power drill with a suitable bit. DIY Clay Pot Smoker Tutorial via Instructables, More Ideas and Video tutorial on NEXT PAGE.